Gebhard Ullman Clarinet Trio performing at the Chapel Performance Space as Earshot Jazz Spring Series continues. Wow. 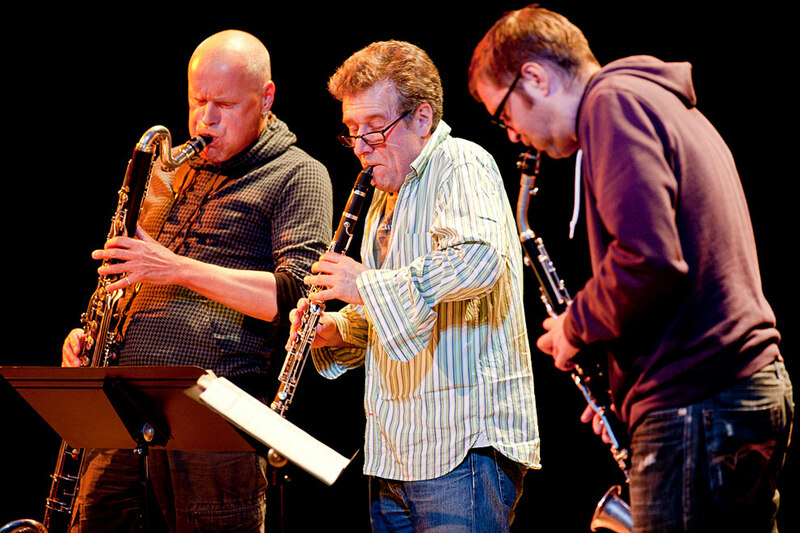 I was not sure what to expect from a trio of clarinets coming out of Berlin, but I was blown away by the talents of Gebhard Ullman, Juergen Kupke and Michael Thieke and their music from their opening number as they slowly strolled through the house to the stage, to the finale. An amazing amount of variety from such a tight ensemble of reed players but their music was swinging and sophisticated and out there to the mysterious and abstract yet strangely accessible. From the Earshot program notes “Ullmann is a follow-up guy in a world of intermittency. We hear sounds in snippets, music in simple, single song structures, see acts come and go with astonishing speed. Yes, improvisers come up with different ideas constantly, never uttering the same exact thing twice, but the extended suite on Ullmann’s new Ballads and Related Objects comes back again and again to a series of firefly-like blinks, woody auras with sonic embers around the core combustion, as on “Variations on a Theme by Claude Debussy.” But the blinks go to yelps and clarinet shouts, barking that front-ends a chatter of clarinet/alto clarinet/bass clarinet, a recurring intensity. Ullmann sees his follow-ups more concretely, too: “However I may seem to go in different directions at the same time, I follow up most of the formats for many years. Mostly more than a decade.” He’s right, too, bringing bands back time and again to explore the platform, to survey how the ensemble has grown as individuals. Ballads is the third session from Ullmann, Jurgen Kupke (clarinet), and Michael Thieke (alto clarinet), and as it’s released, Ullmann is also putting out another date with trombone madman, Steve Swell. The simply named Ullmann/Swell 4 spills out News? No News!, a rambunctious blurt of energetic action that records no distance or creative tension between Ullmann, a Berlin transplant who spends most of his time in Europe, and the New Yorker. One could imagine the difference in scenes, Europe more friendly to the avant-garde, North America more occupied by its love for the mainstream, its measuring of art by the yardstick of commerce. But Ullmann resists the characterization: “We are all trying to move forward musically and be able to survive. There is no difference,” he replies when questioned on how we differ on opposite sides of the Atlantic. 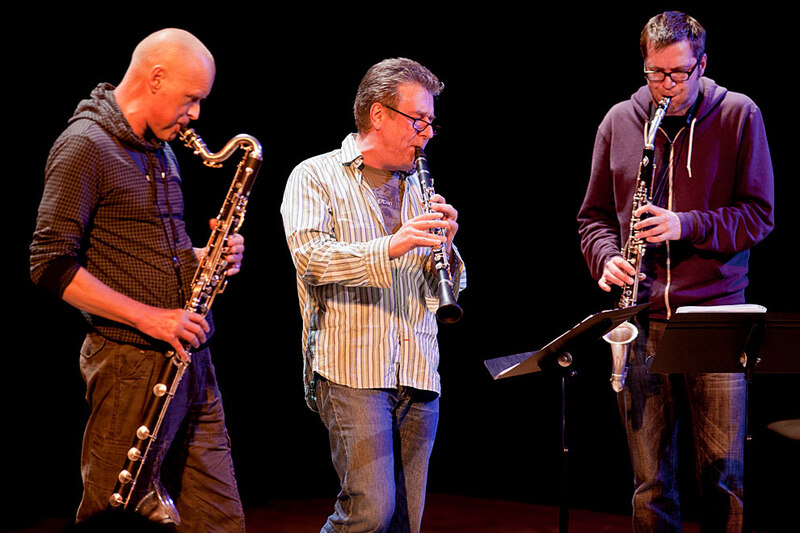 As for the Clarinet Trio, Ullmann infuses the music with what qualities he sees in Thieke and Kupke: “They bring in contemporary music, performance, jokes.” He’s emphatic about their musical potency, too: “You never heard a trio like this. It is at times more than a trio almost an orchestra. It is all of my woodwind music.” Like ROVA and the WSQ before them, the Trio does indeed encompass Ullmann’s many interests, his core. “Be it bands like Henry Cow or Can, be it the classical music I grew up with or the contemporary composed music I listened to as a teenager, composers like Lutoslawski, Henze or Stockhausen,” he comments, the woodwind elements didn’t exist. 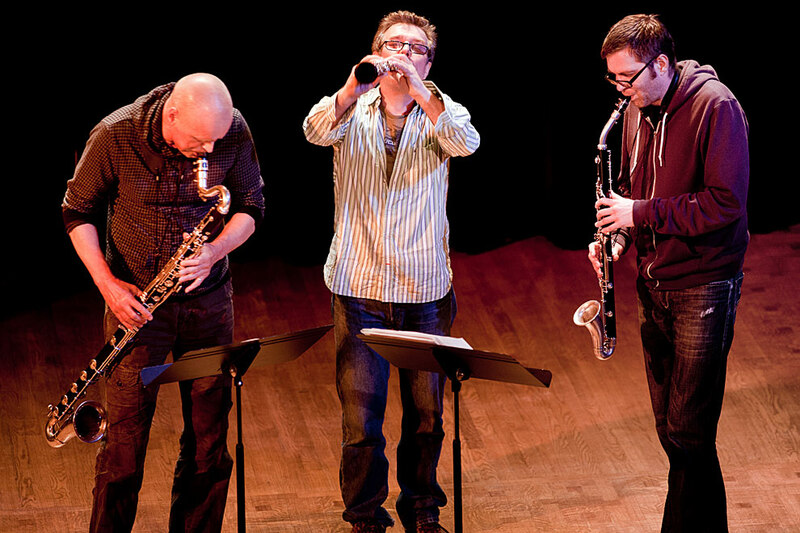 And even as some of Ullmann’s impetus was to “transpose to wind instruments” what he heard in music that did not feature them, he also knows that “minimalistic techniques and techniques using overtones, multiphonics and such [can] give the impression of more than 3 players,” enabling the ensemble to move beyond some of the limitations of the source material. Continue reading here. Jazz Photography by Seattle photographer Daniel Sheehan who covers jazz performances, and creates portrait photography for publications and corporations and a Seattle Wedding Photographer at A Beautiful Day Photography, a wedding photographer with an artistic photojournalist style. At EyeShotPhotos, see more work from a Seattle Photographer.